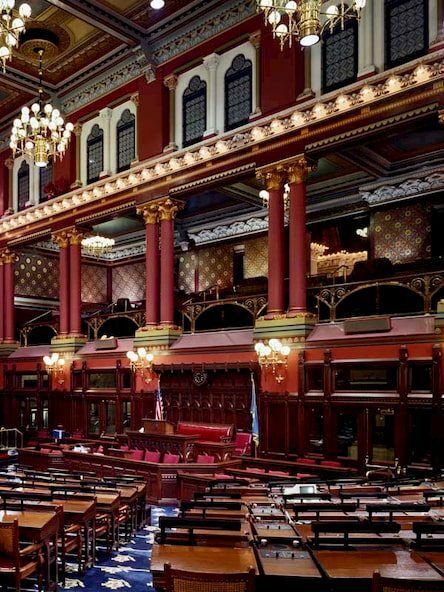 140 Years in the Connecticut Capitol Building | John Canning & Co.
On January 9, 1788, the state of Connecticut was admitted to the union making it the fifth state to join. 100 years later, in 1878 the Connecticut State Capitol was completed and it opened for session of the General Assembly of Connecticut in January 1879 – 140 years ago. The Connecticut State Capitol building was designed by Richard M. Upjohn and the interior decoration designed by Scotsman, William McPherson. 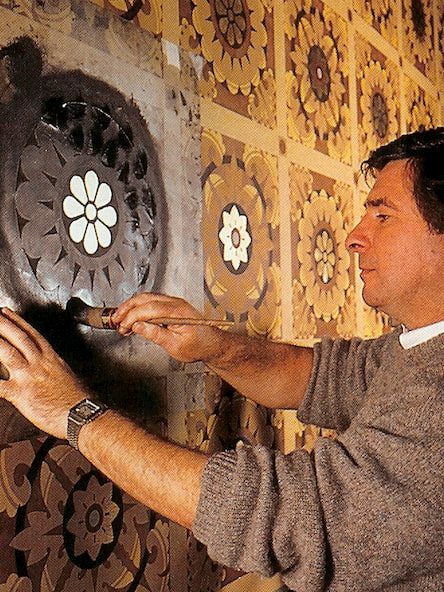 John Canning & Co restored the original decoration in several areas of the capitol building including the House of Representatives, Senate Chambers, Hall of Flags, Judiciary Room, Atriums, Dome, Statue of Genius, and Public Spaces. 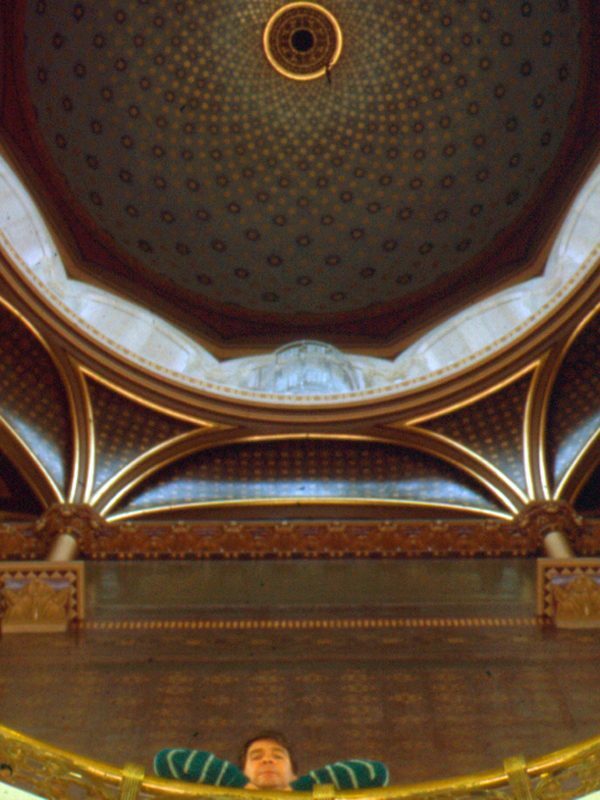 After careful assessment of the various artistic aspects within the chamber, it become evident that a total floor-to-ceiling restoration needed to be conducted. Over the decades, numerous changes, alterations and renovations were made to the space, each greatly altering the historic vision, making it a challenge to restore the room to its original condition.Before any workmen showed up to the job site, careful analysis was done on a variety of surfaces throughout the space to help provide clues about what the room would have looked like when it was initially completed in the late 1880’s by McPherson. As it presently sits, the Senate chamber was not part of the original design. Around 1910 the state government had grown too large for all branches to fit under one roof and it became clear that architectural changes had to be made to better accommodate the growing government. Plans were made to move the Senate from its old location within the Capitol, down the hall to the space occupied by the then State Library. The final phase of reorganization involved moving the library and Supreme Court to their own buildings on Capitol Avenue. Tragically, the decorations of the old library, including the original ceiling and millwork, were demolished, leaving an underwhelming room. With little more than plain plaster walls and some wood trim, the space hailed in comparison to the elaborate decorations McPherson put on display throughout the building.